So imagine my shock and awe when I found out that there really is such a thing as “Healthy Chocolate”. I mean it really honestly and truly exists! I was literally doing the happy dance and thanking my God when I verified it was true. I am one of those people who has to absolutely verify the accuracy of everything. I was at the health food store in Port Charlotte, Florida when the store owner mentioned to me about Healthy Chocolate. Specifically, I think she even told me I could lose weight eating chocolate. Okay, well that about took me over the edge. I mean I have been heavy all my life, have been avoiding chocolate which I love like no other food in the world and then I find out there really is a Healthy Dark Chocolate after all. 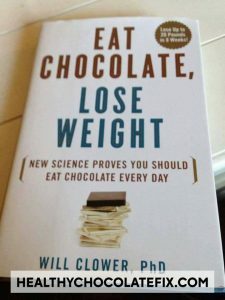 I was actually shocked to find so many peer-reviewed studies in medical journals about the health benefits of dark chocolate, specifically about cocoa flavanols, epichatechin and antioxidants found in healthy dark chocolate. I also learned that candy chocolate is NOT healthy. Ok, so i was half right. How the chocolate is processed is vital. Don’t heat the chocolate, that is the key. There is a company who figured it out and uses a patented process to not heat the chocolate. They also don’t have waxes, fillers or processed sugars and sweeten the chocolate with acai and blueberry. I was thrilled to find out that this Belgian Healthy Chocolate still tastes amazing. My favorites right now are the Beyond Beyond Healthy Chocolate Xobiotic with a probiotic included and the Power Squares. 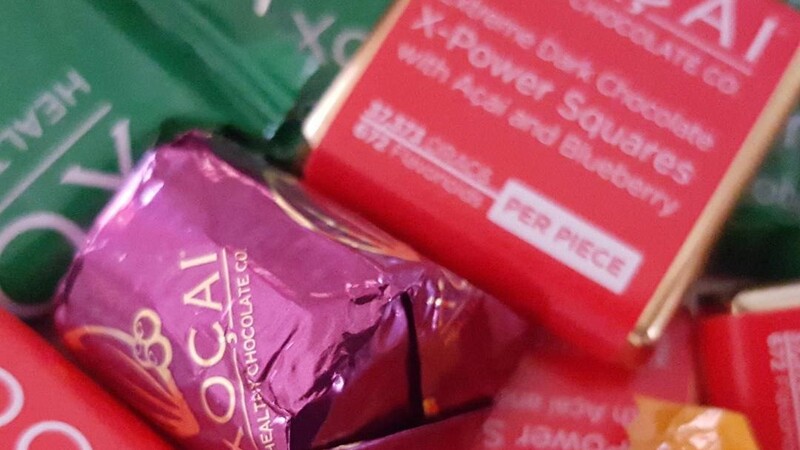 One Power Square is just 33 calories. So in addition to being healthy, it is low in calories, diabetic friendly, gluten friendly and vegetarian. Not bad for something that tastes absolutely divine. the high end bitter chocolate bars at the health food store. Don’t believe me? Next time you grab what you think is a healthy chocolate bar at your local health food store, read the label. Does it say made with cocoa liquor? If so, that means it was heated and likely dutched and for a very long time. (Because that is how traditional chocolate is made) Search the label for how many antioxidants are in each piece and how many flavonoids are in each piece. This is important. Eating just three small Beyond Beyond Healthy Chocolate Power Squares a day, spaced out morning, mid day and evening is really good for you and is likely more antioxidants and flavanols that you eat in a week. Remember mom said eat your fruits and veggies for a reason. They really are good for you. 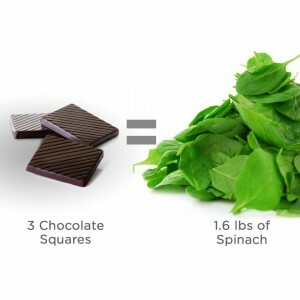 Just one single 33 calorie power square has 37,373 ORAC6 (amount of antioxidants) and 672 flavonoids. It may not seem like a lot, but it is a crazy amount of antioxidants and flavonoids. No wonder I feel better eating it! Try some out! Order a box and eat it at least three times a day. (Ideally spaced out every 4-6 hours as that is how long antioxidants stay in your body generally) Keep track of the differences you notice. If you are sleeping better, if you have more energy, less pain etc. That is what I did over 7 years ago. My hubby and I decided to try it for one month. The difference was substantial. Now my entire family eats it! 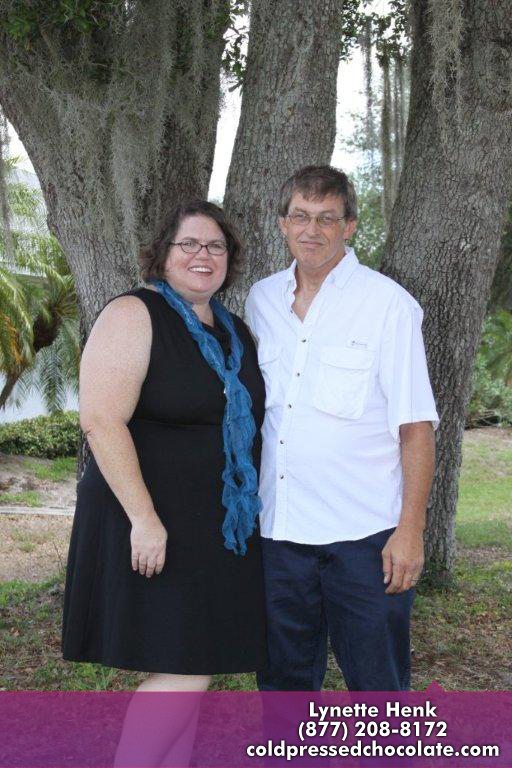 Call Three Sons Marketing LLC (Lynette & Wayne) us at 941-216-5727 if you have any questions or visit our website at HealthyChocolateFlorida.com.